On Aug. 3, 2018, during the placement of the 29th MPC, the MPC came to rest on the top of a component of the CEC called the divider shield ring, and against the inside surface of the Hi-TRAC (Holtec International Transfer Cask). The Vertical Cask Transporter (VCT – mobile crane) slings supporting the canister went slack indicating the MPC was hung-up. The crane operator could not see the MPC (because this is an operation commonly called a blind lift) and a spotter assigned to observe the MPC did not recognize the slack sling condition. Key oversight personnel were located 150 feet away in a low radiation dose area observing the slings from the rear of the VCT and believed, because the slings appeared to be taut, that the MPC was being lowered to the bottom of the CEC. However, elevated radiation measurements taken near the VCT indicated that the canister had not been fully lowered to the bottom of the CEC. Actions were initiated immediately to raise the VCT, lifting the canister off the divider shell ring, thereby placing the canister load back on the slings. The canister was subsequently realigned and lowered successfully to the bottom of the CEC. SCE then stopped all canister-loading activities and subsequently notified the Nuclear Regulatory Commission. (Read more in the Licensee Event Report, submitted to the NRC). 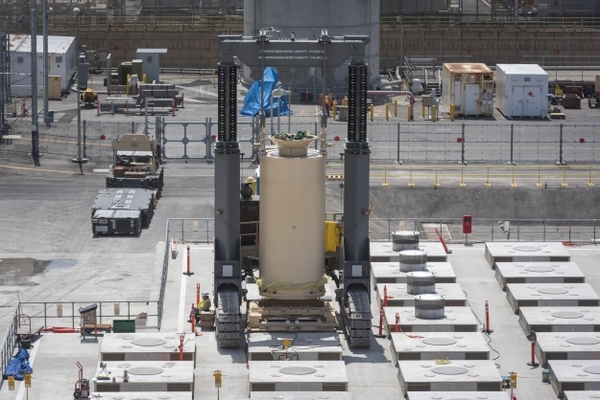 San Onofre personnel implemented appropriate immediate corrective actions. These included restoring the control of the load to the rigging and lifting devices, properly placing the canister in the storage vault, suspending all movement of spent fuel, and initiating an investigation of the event. The health and safety of employees and the public was never, and would never have been, impacted by this event due to the robust construction of the canister. 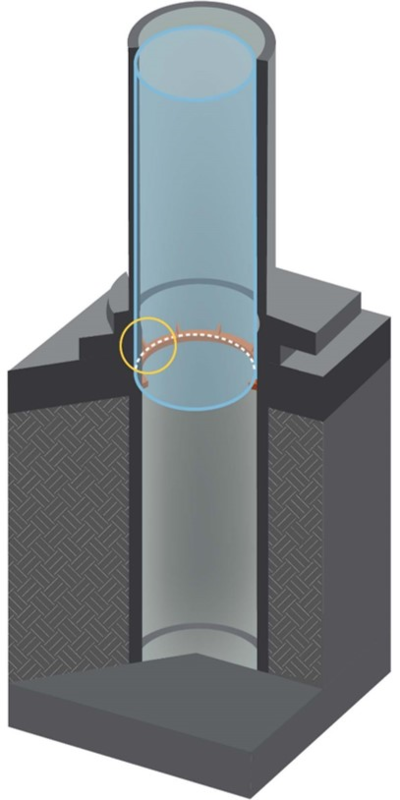 The drop analysis, validated by an independent expert and provided to the NRC, confirms canister integrity would not have been breached had a drop occurred. On Sept. 10, a team from the NRC began an onsite inspection at SONGS. The inspection charter can be found here. In October, the NRC posted its preliminary findings to its website. 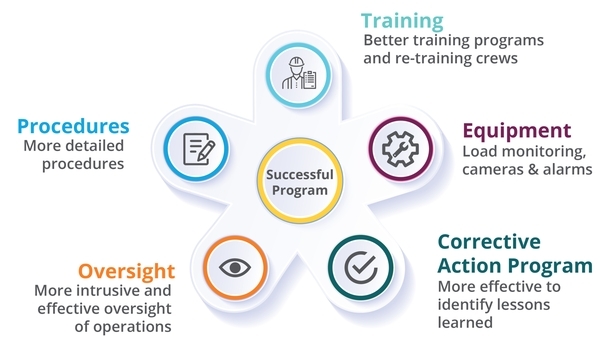 The NRC was critical of SCE and noted myriad deficiencies in the fuel transfer operation program, including the areas of training, procedures and oversight. On Nov. 8, the NRC held a three-hour webinar to update the public on its preliminary findings, outline potential violations committed by SCE, and answer questions from citizens. The webinar slides are available here. Read our statement on the webinar. The NRC’s final inspection report is available here. Southern California Edison has prepared a report entitled "Evaluation of Downloading Effects on Multi-Purpose Canister Integrity." 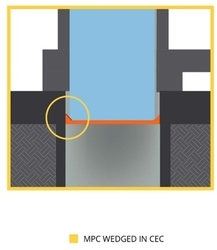 The paper deals directly with the issue of incidental contact that occurs as the MPCs are lowered into the Cavity Enclosure Containers (CECs). You may read the evaluation here. A companion document focusing on the "worst case scratch scenario" and the protective oxide layer on the canisters is avilable here. Following the incident, SCE pledged to not re-start spent fuel transfer operations until satisfied all corrective actions are in place and proven effective, the public has been briefed, and the NRC has completed its onsite inspection actions. The graphic above illustrates the five focus areas of Fuel Transfer Operations where improvements have been made. So what have we been doing over these past several months? Before actual fuel transfer operations begin, we will conduct a series of readiness reviews with the internal team, as well as an independent assessment of readiness. On top of these reviews is the NRC’s review to ensure we are, indeed, ready for re-start. The bottom line is, we will resume fuel transfers only when we are positive we can do so safely, correctly and without incident. That is our commitment. Please visit the Community Engagement Panel page for complete information on the Nov. 29 meeting.